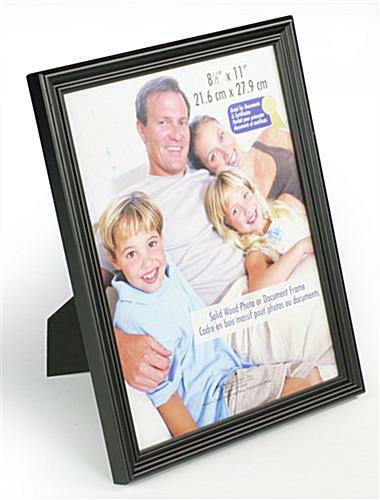 This document frame features a black matte finish. It can be wall mounted horizontally or vertically, as well as rest on its two-way easel back for a charming tabletop display. 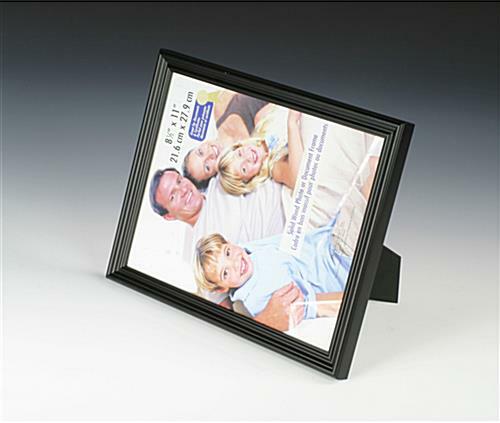 The photo holder, document frame will safely showcase and preserve certificates, diplomas, or any other important 8-1/2" x 11" documents. 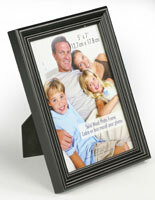 Changing documents is easy with this classic wooden frame. Simply lift up the tabs to remove its backing. 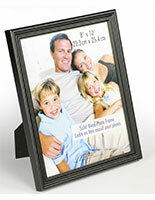 Position your 8-1/2" x 11" print or certificate onto its protective glass and replace the back. 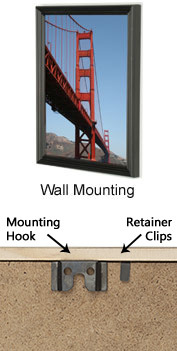 You are now free to hang this picture holder, document frame on a wall using its mounting hooks or stand it on a desktop as a portrait or landscape display. 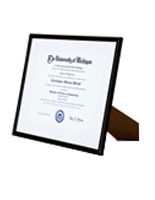 This wood holder is the document frame to preserve your special document or diploma. 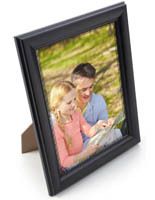 A document frame, such as this wooden picture frame, or wooden photo holder is perfect for use in a traditional environment. 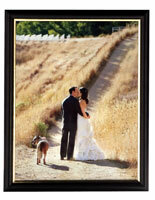 At our organization we go through pictures frames quickly - - or so it seems. Someone drops them or mishandles. We we thrilled to find these good looking frames at a good price. And the frames are sturdier than others. Glad we found them. 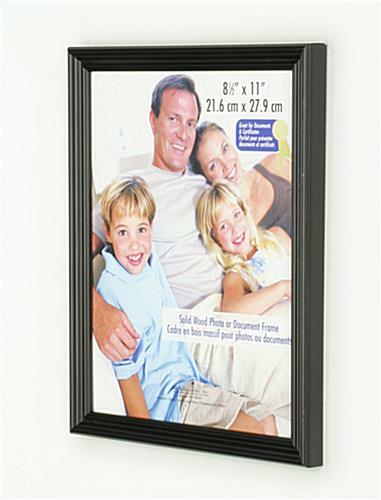 The frames are excellent quality at a very reasonable price. The display the certificates we will be giving out beautifully. 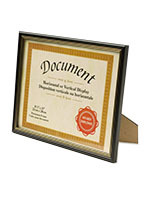 Perfect for certificates and awards! 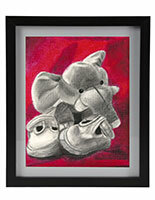 The quality is good and best of all, it can hang on the wall or you can stand it on your desk. The cardboard wrapping on each corner keeps the edges safe as well. Overall a simple great value that can really "dress-up" the simplest of certificates. Thanks for sharing your photo, Joan! Feel free to share a photo of it in use on our Facebook wall! We love it when our customers show off their products "in action!" Frames seemed to packaged really well and looked nice at first... but the wood was poor quality, and splintering off... including the black paint. Disappointed. We're sorry that you are not pleased with your purchase. One of our Customer Care representatives will be reaching out to you shortly.